Last Friday (and, in true Google style, just in time for the weekend), Matt Cutts announced that he and his anti-spam team rolled out another Penguin algorithm update, the fifth of its kind to shake up the SERPs since April 2012. 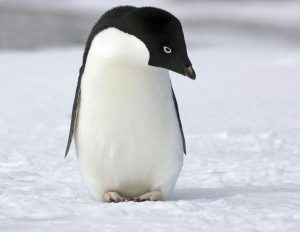 Confusingly named Penguin 2.1, this update is aimed at filtering poor quality content from the listings and is designed to affect approximately 1% of search queries. Though most SEOs are still in the process of analysing their positions and waiting to understand the full impact of the algorithm update, it is thought to have a negative impact on sites that have a range of on-page issues, so experts are urging webmasters to take an in-depth look at their site’s content if they’ve experienced a fall in traffic over the last couple of days. We’ll keep you updated with all the latest news and views from the industry as more information is rolled out online in the next couple of weeks. In the meantime, take a look at this great post from Search Engine Land.